This home will take your breath away every time you walk in the door. 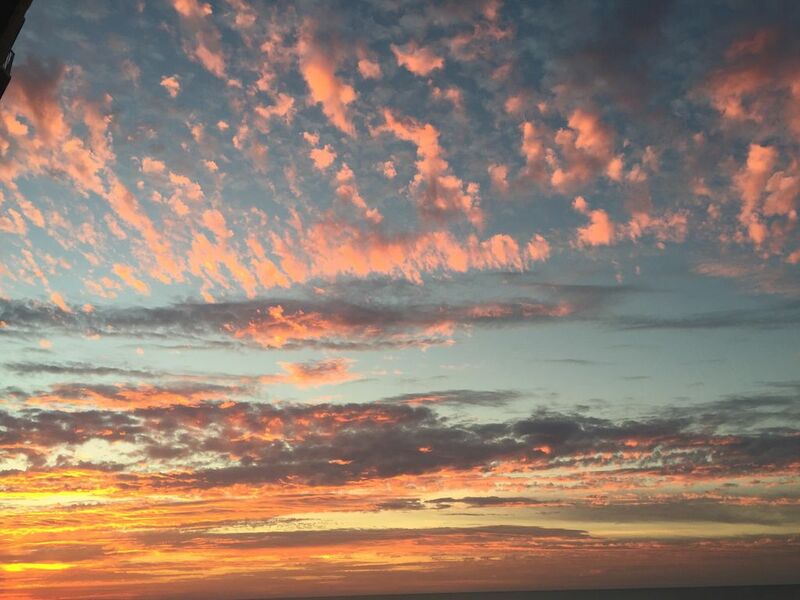 The floor to ceiling ocean view is overwhelmingly beautiful. 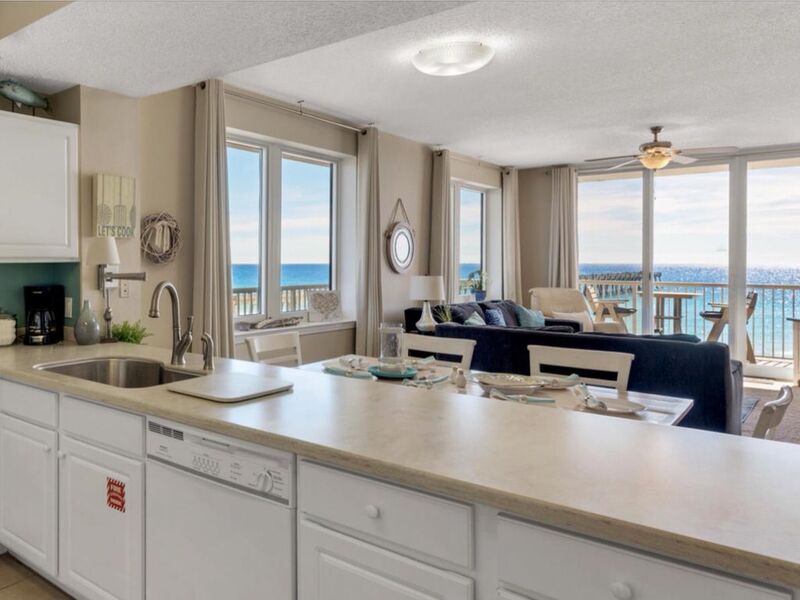 The wrap around balcony overlooking the beach and bay will draw you every time. This sweet spot is beautifully spacious with lush carpet. Super clean thanks to Beach Rentals at Navarre. 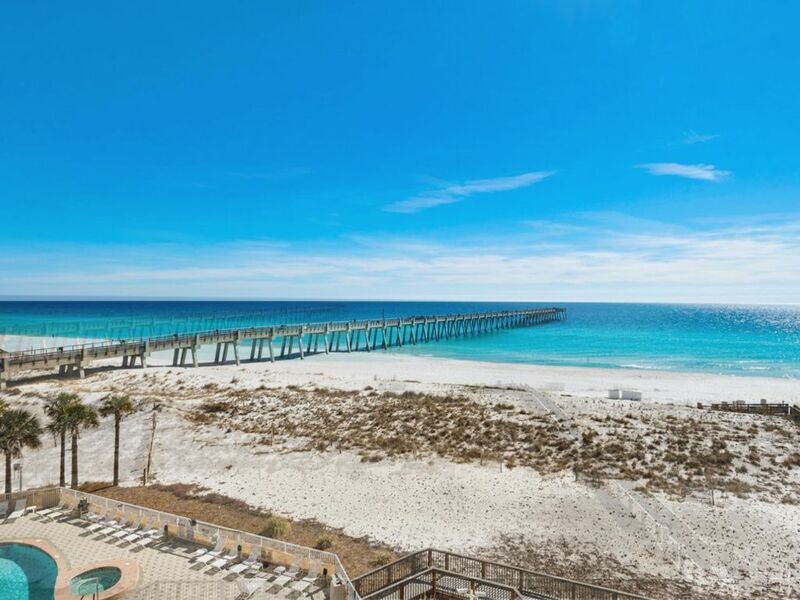 Once you come to Navarre you will never go back to the crowded beaches again. 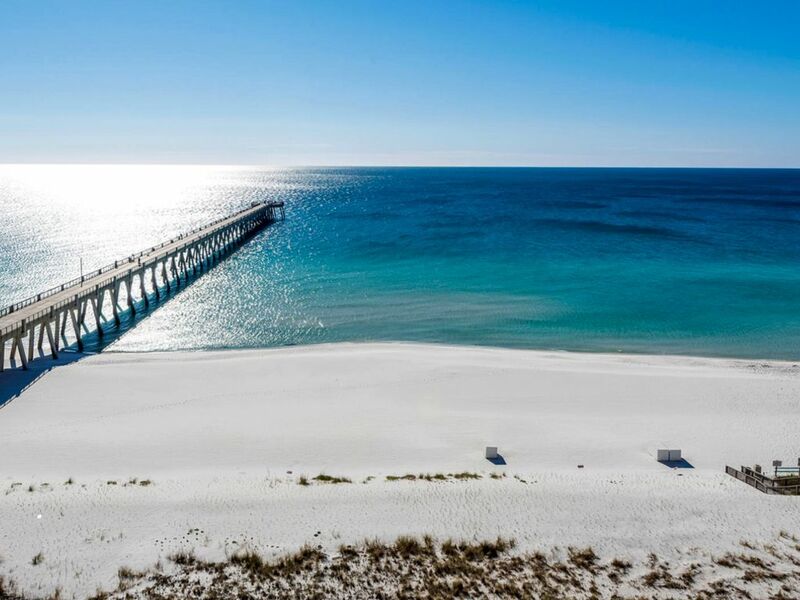 Navarre Beach is a treasure , It is one of the most beautiful and pristine beaches you will find in the USA. Swim, surf, or just nap in the sun. 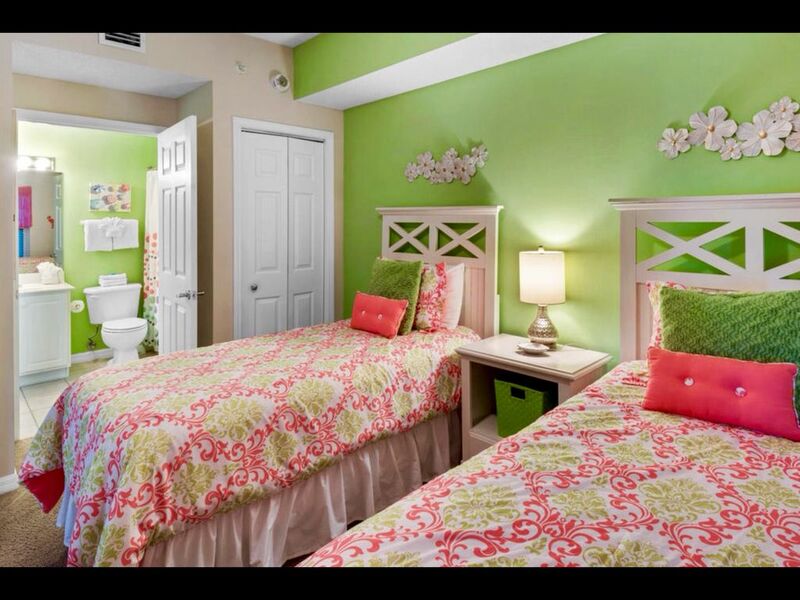 Summerwind Resort has it all! Go fishing off the pier next door and grill your catch by the pool. 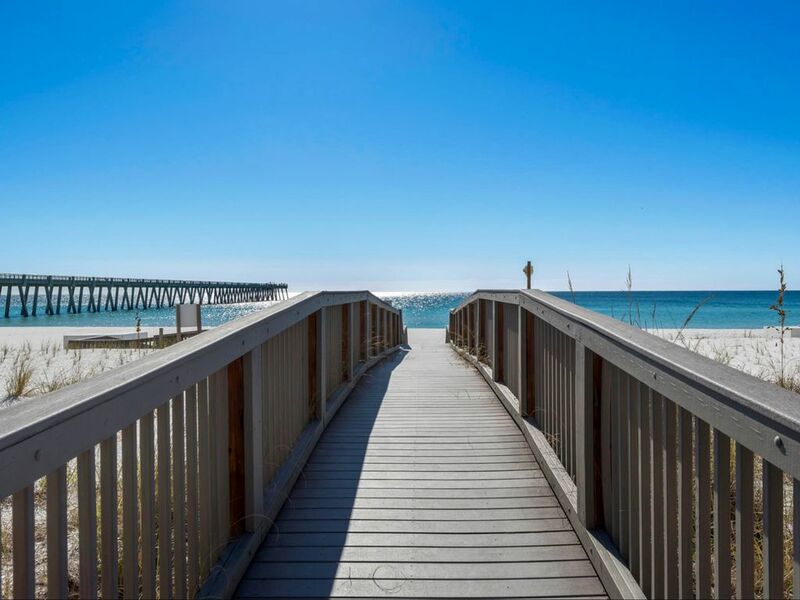 Each day can bring new adventures, Navarre Beach is flanked both to the east and west by miles of protected, unspoiled beach that offers a unique setting for a quite, relaxing vacation away from the crowds. 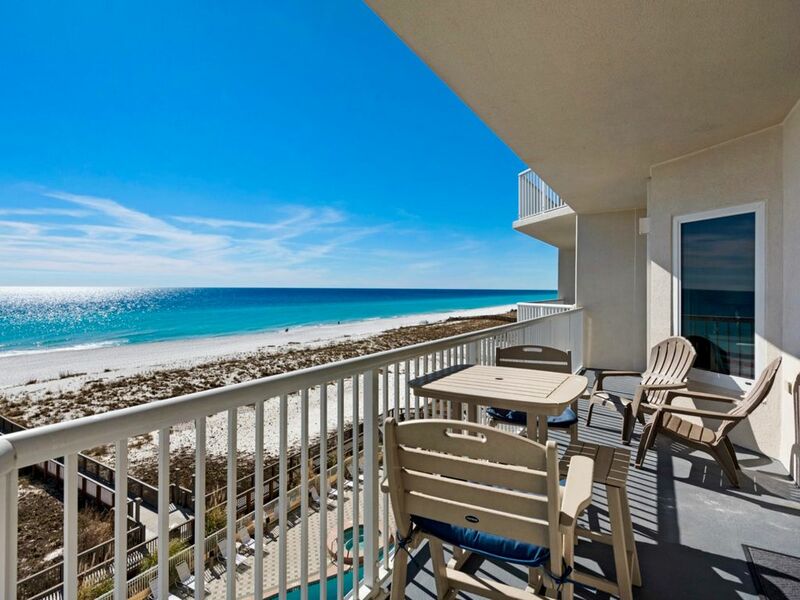 For the wild full impact fun take a short drive to Destin or Pensacola Beach where you can spend a day at the water park, shop or sign onto a charter boat for gulf fishing. 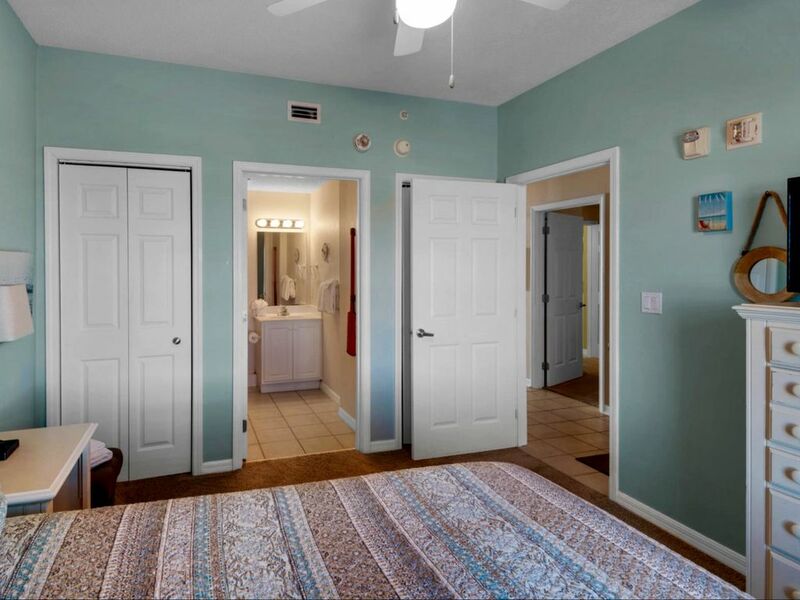 This home is beautifully arranged for your full comfort - Roomy and just upgraded with bright new furnishing, carpet and paint, counter tops. A new Samsung 50" smart TV is in the den so you can stream media via your accounts (Netflix, Pandora, etc.) watch FREE HBO or your favorite DVDs. 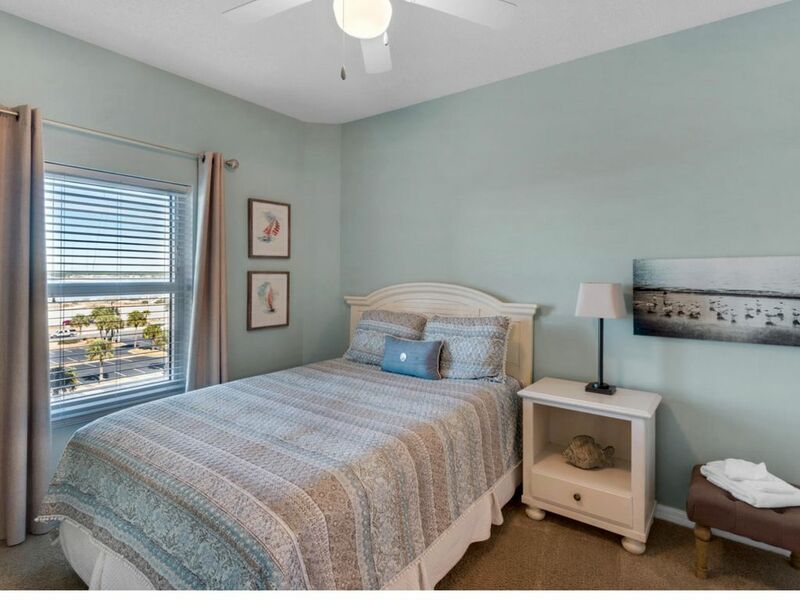 Gulf front master bedroom with comfy king size bed and large luxurious master bathroom with jetted tub. 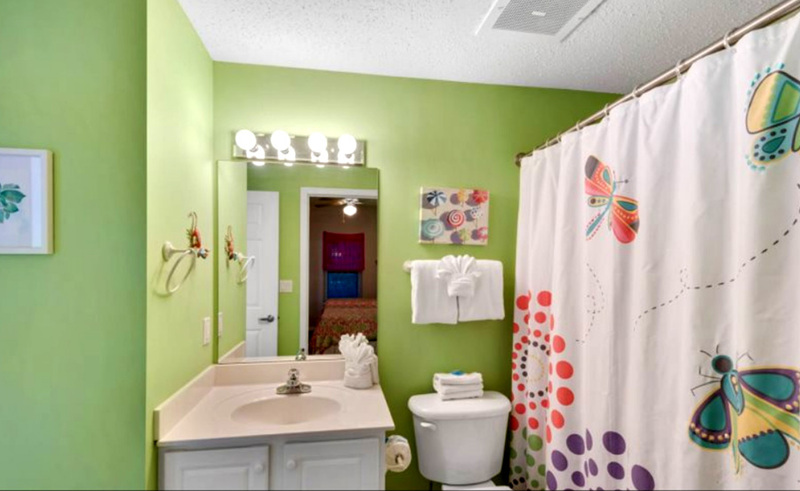 The other two bedrooms also have comfortable beds , flat screen TV and private full baths. 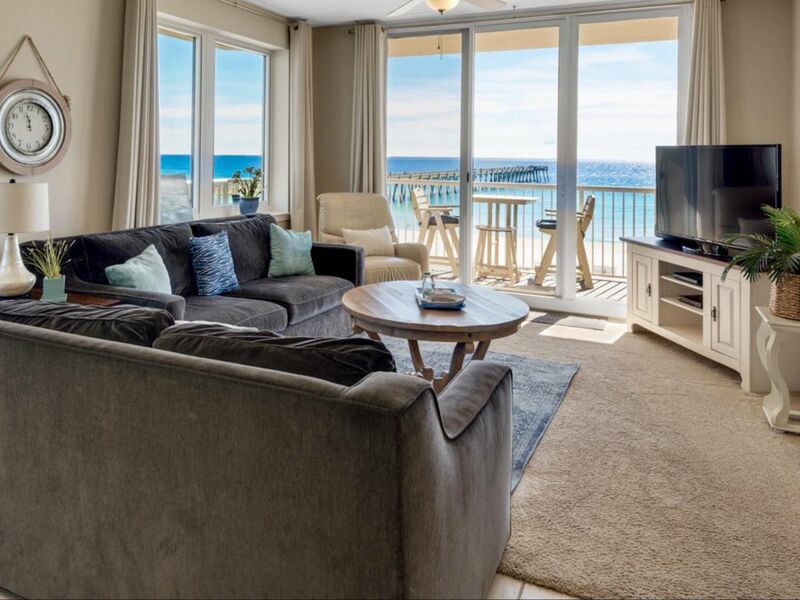 The den has plush, comfortable furniture including a sleeper sofa, loveseat and leather recliner - perfect for gazing at the emerald green gulf water, reading or watching TV. This condo sleeps 8 comfortably. 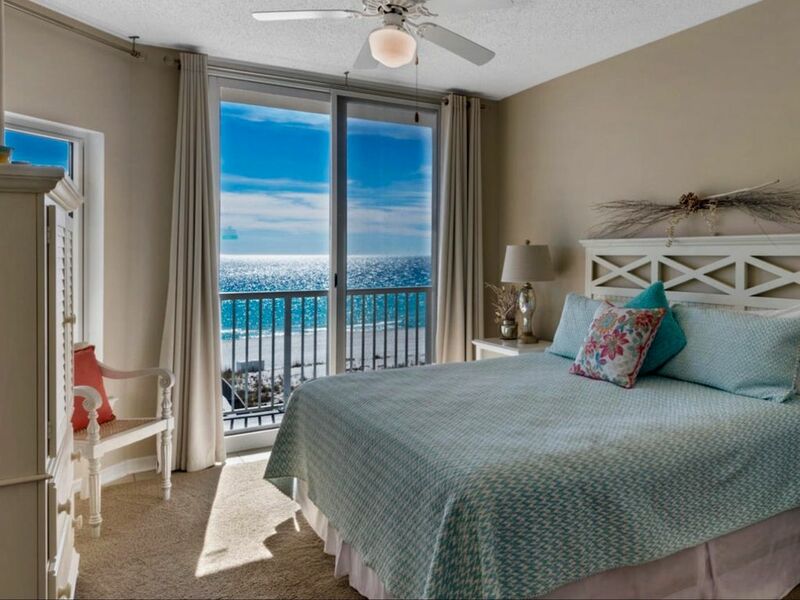 The large wrap around balcony offers great views of the gulf and pier and a panoramic view of the bay. The balcony furniture includes chairs for lounging and a bistro table and chairs perfect for having your morning coffee or meals while enjoying the view. 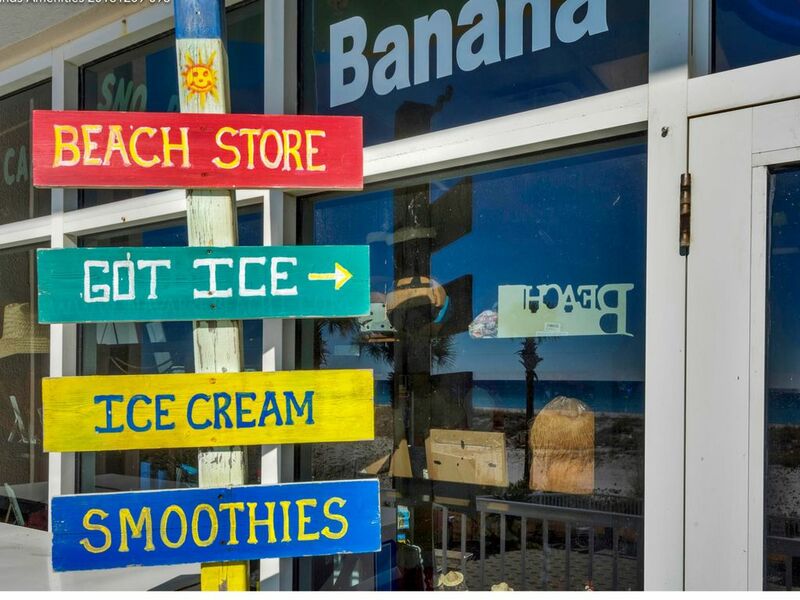 Resort amenities include a workout room, three swimming pools and three hot tubs as well as an on site soda shop near the pool where you can get smoothies, soft drinks, and snacks. 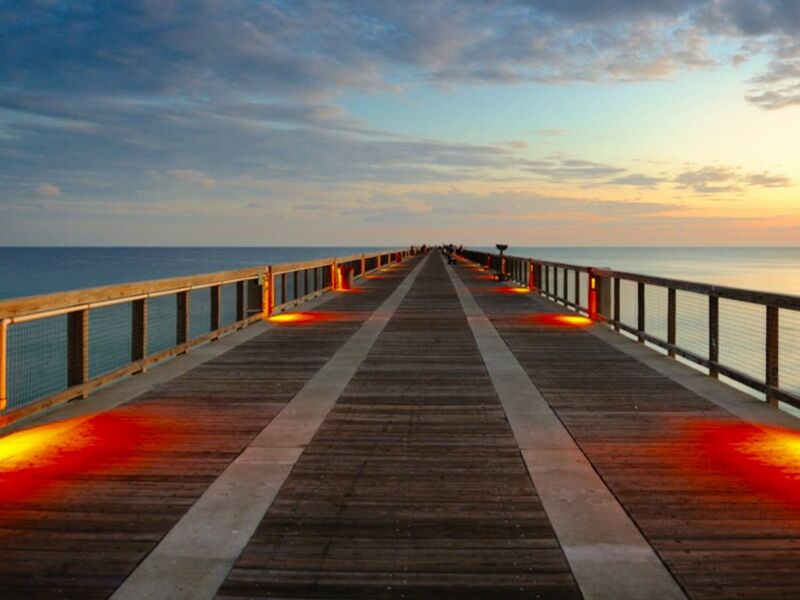 Walk next door to the longest pier on the Gulf of Mexico and enjoy the pier restaurant for great food, drinks and fun. Its a local favorite! 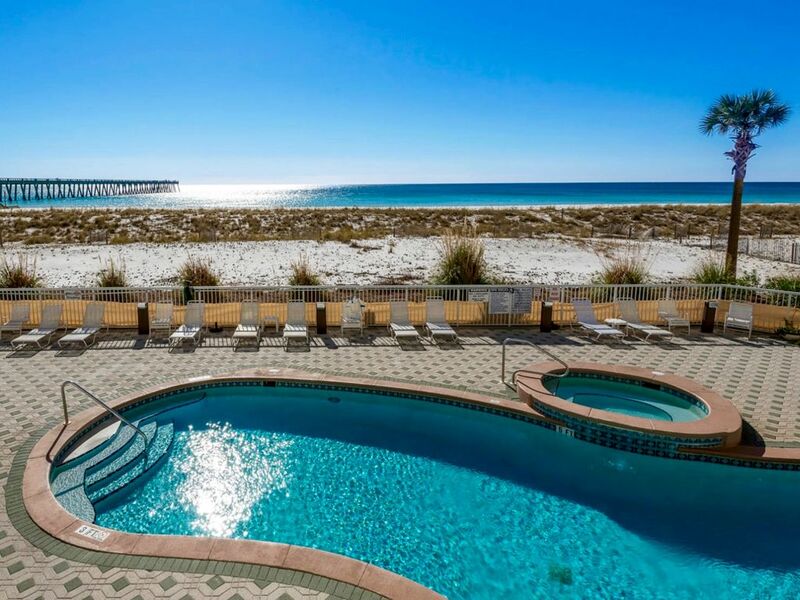 Navarre Beach, often called "Florida's best kept secret," is a treasure that you can discover and enjoy. 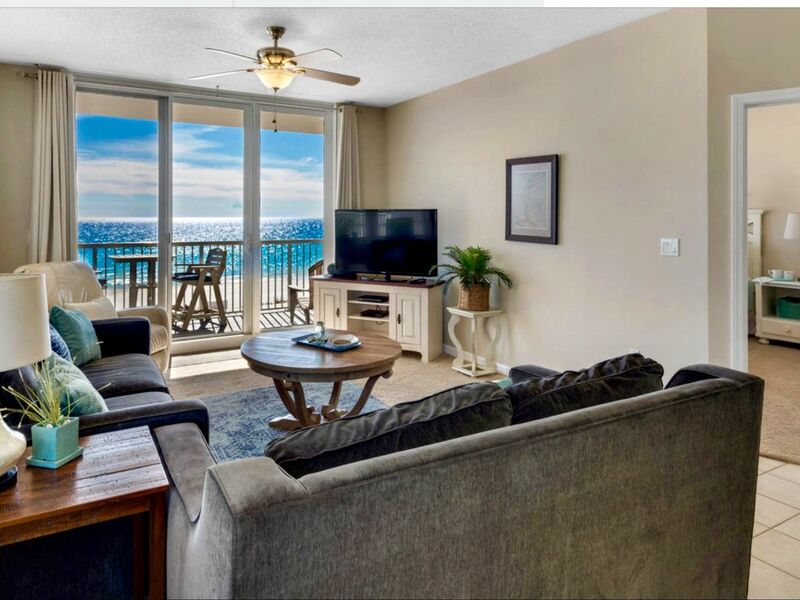 Come and make yourself at home in this beautiful condo and enjoy all that Navarre Beach and the Summerwind Resort have to offer! Beautiful condo with an awesome view!! We had a great time and the condo was perfect Family with two young kids. Beautiful, all the extras provided so you don’t need to overload the car, very clean, great view, and the air works better than ours at home. Any problem is taken care of very quickly and I hope someone hasn’t already booked ‘Sweet Spot’ for our planned week next year. This will be our third year in ‘Sweet Spot’. The unit was well maintained!!! The area and property was beautiful and well maintained. 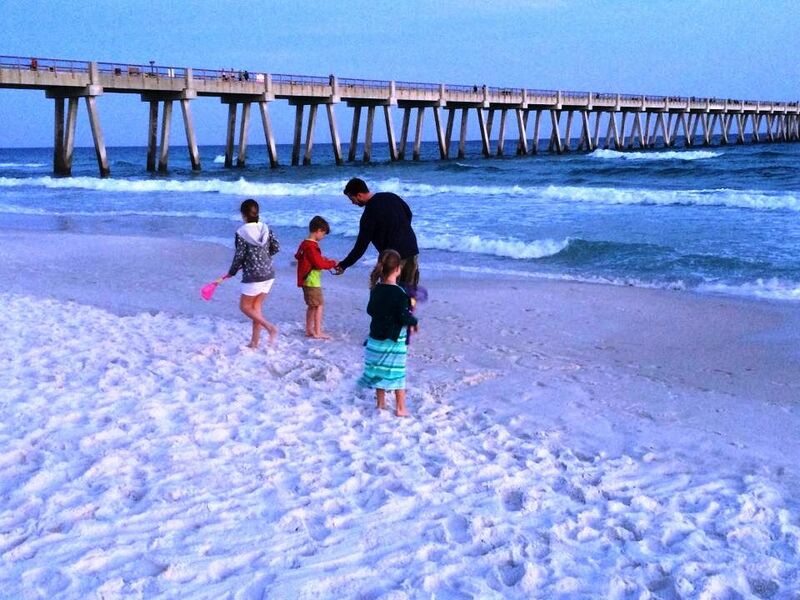 Our first trip Navarre, now our forever vacation spot!! We have finally found our forever vacation spot! We have traveled as a family for many years hoping to find that one spot we love enough to return to year after year. Well, we found it! I can’t say enough about this place. If you like to enjoy the beach without the crowds, this is the place. 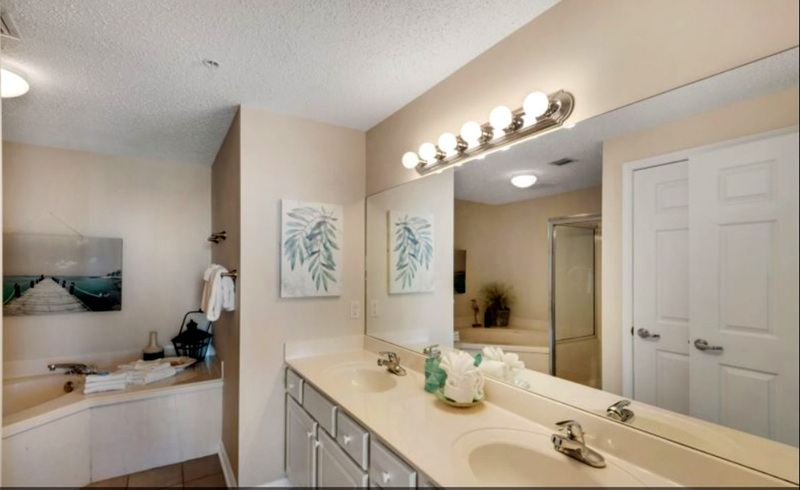 The condo and complex was very clean, and the staff on site very friendly. This condo is the best equipped condo we have ever stayed in. Well stocked kitchen, extra blankets and pillows, and plenty of bath towels for everyone. 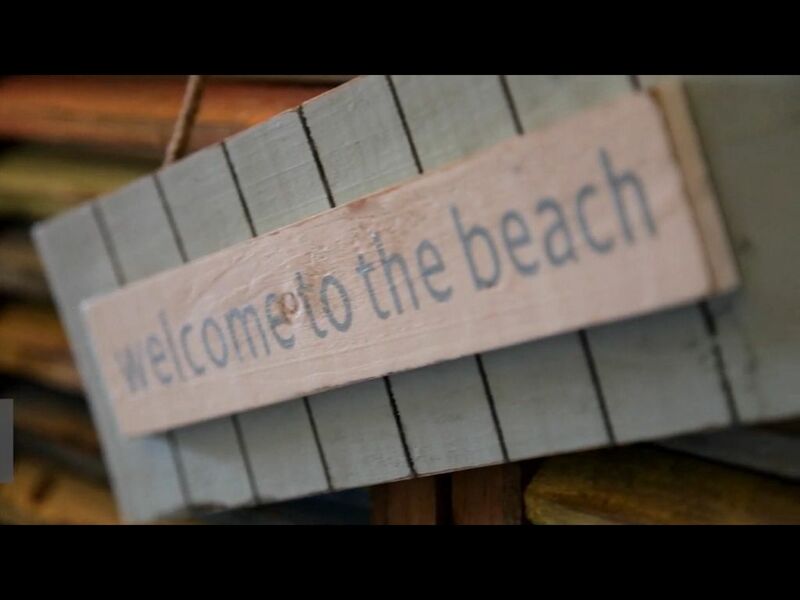 The owners also thought of all the extras including several beach towels, beach chairs and umbrellas, boogie boards, and sand toys for the little ones. These extras will help decrease all the bundlesome packing for when we return next year. Oh and the view...amazing!! Thank you for a great week! We stayed for a week in this wonderful clean condo. Location was great, lots of close places to eat and the pier was amazing to walk on day and night. Staff was extremely friendly and helpful with information. Several people stand out! Mike in maInstance, and the big security guard, ex- navy! Great time! Staff, Ron and Mike helped with leak. Security man (ex-navy) the best! 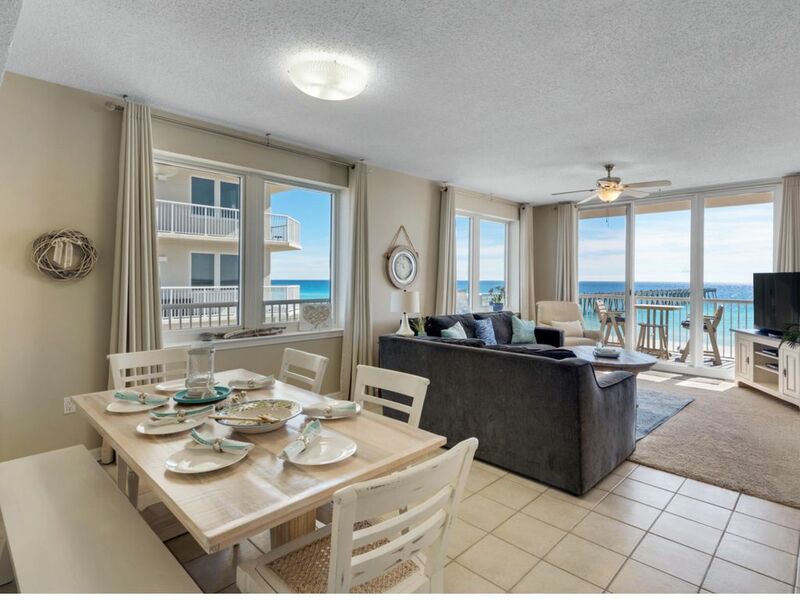 The condo was beautiful, well maintained (with the exception of dishwasher not working but we didn’t try to use until the morning of our departure), the view is unbeatable & our family of 6 including our 4 yr old granddaughter had plenty of space to spread out! The pools are beautifully kept & let me add we always had cellphone service & internet. 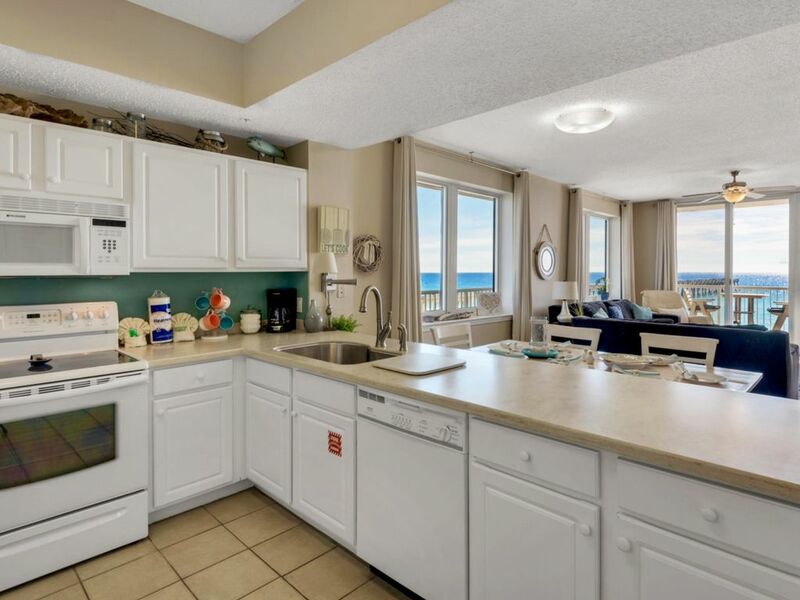 This condo had everything needed like a home away from home including beach toys & chairs which was so appreciated! 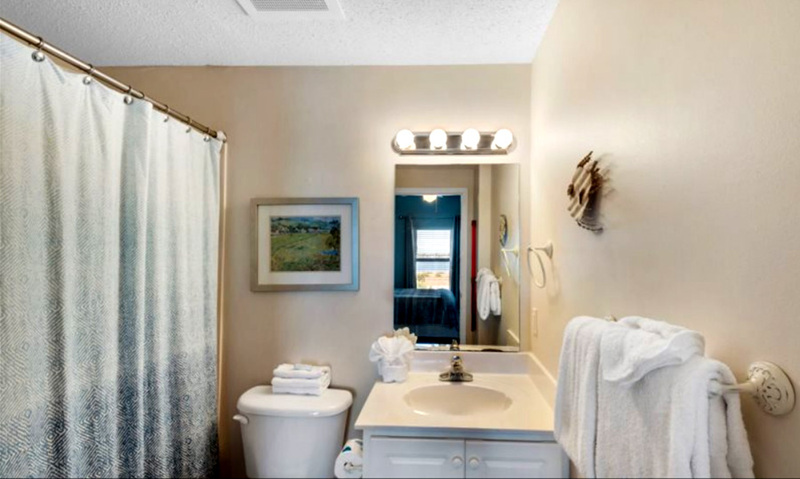 The owners pay very close attention to every small detail & it shows & makes a difference. We would definitely rent this amazing condo again! Hope to see you again next year! One side note to the resort itself: had we not been leaving in two days we would have been very disappointed in several instances taking place in the building to the right of us. Very noisy ppl being drunk on the beach late at night cursing & pretending to drown & yelling from their balcony. It was very family friendly up until this point. We do understand you can not police everyone at all times. All in all a wonderful place & wonderful time!! Very nice, the entire facility was well maintained and clean. The kitchen was one of the best stocked with dishes I have stayed at yet. Plenty of pots and pans! Beautifully decorated and comfortable for 7 of us. Gorgeous views and the maintenance was prompt with small issue. Very nice condo that had everything we needed. Very nice condo, we would book it again. We had a great time! 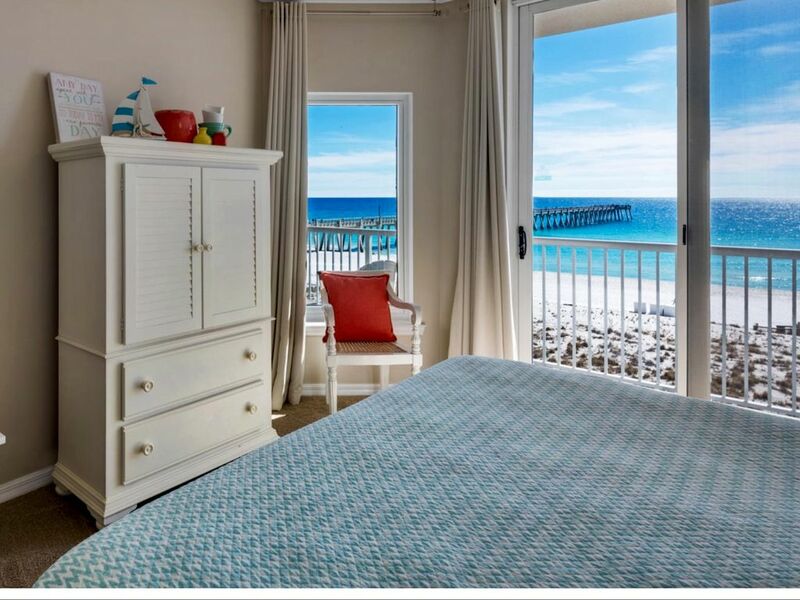 Navarre is the most beautiful beach I have been to and the view from this condo is breath taking!! We loved staying here and will definitely be back. The condo was extremely clean, and had everything we needed plus some! The kitchen is fully stocked with everything you would need to make a meal for your family. 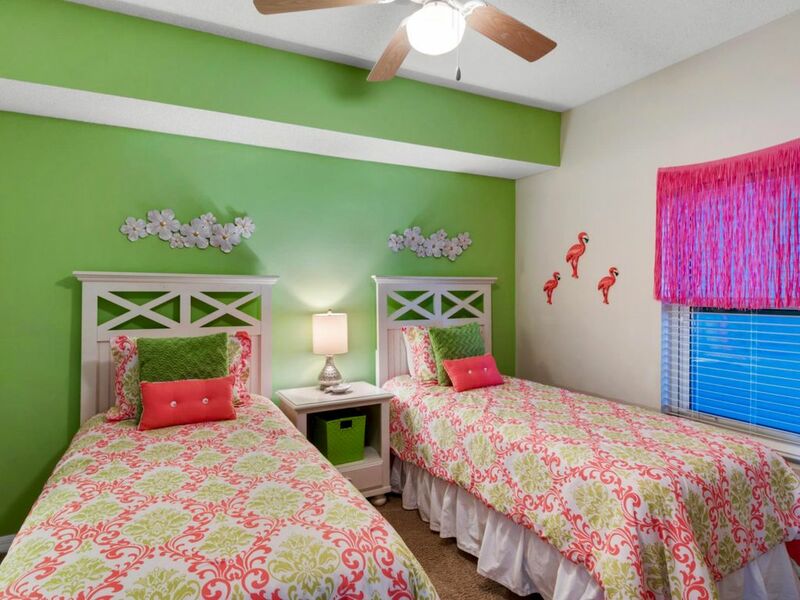 All the little extra things like beach towels, beach chairs, extra blankets and laundry detergent make this an even better place to stay! Plus the room in this condo is fantastic! The beds were clean and comfortable. We also had no issues with internet or streaming videos which was great! 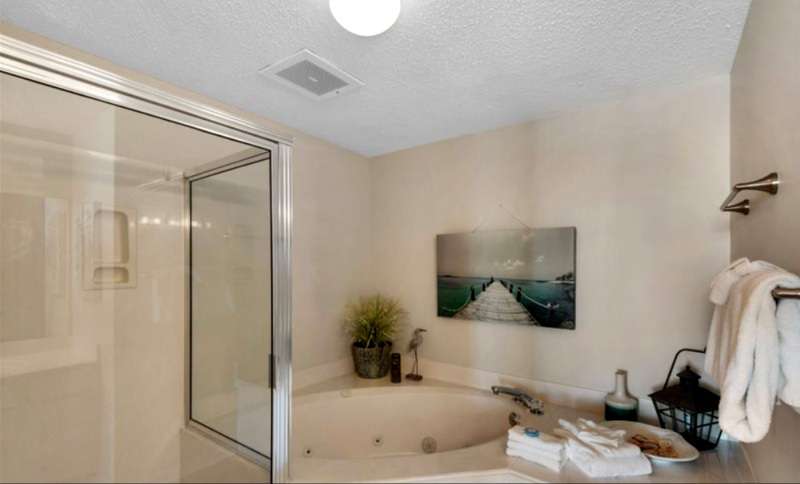 This condo is basically a 5 minute drive (or less) from anything you could need. Walmart, Publix, and many great restaurants are just a few minutes drive away. Also, Ft. Walton Beach and Destin are only a very easy 20-25 minute drive if you want to go explore a little. IWe would definitely stay here again.